For more than 40 years, Hospital Law Manual has been known throughout the health care industry as the definitive guide to the legal responsibilities and liabilities of health care providers and institutions. Why? Because this comprehensive reference explains federal and state laws with clarity and insight, giving you the information you need to assess your risk, explore your options, and avoid liability. Prepared by a blue-ribbon team of health law experts and updated quarterly, it offers the authoritative and timely analysis you need to fully understand the issues, and make tough decisions with complete confidence. A Must-Have for Busy Practitioners! 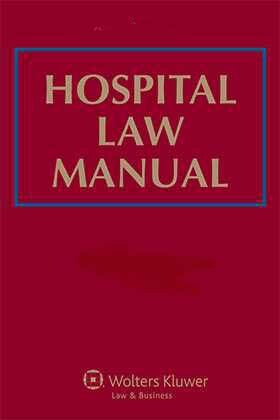 Organized for everyday use, Hospital Law Manual comes to you in five, easy access volumes. Volumes I-IV offer detailed, up-to-date, relevant analysis of every major health law issue, from federal regulation of managed care organizations, to state-mandated service coverage requirements, corporate liability, legal requirements for patient medical records, pharmacy, reimbursement issues, physician relationships with hospitals, and much more. Presented by topic in convenient "tabbed" sections, you'll find point-by-point analysis of more than 1,000 federal cases, state-by-state analysis of key legal concerns, sample forms and checklists, plus 'hands-on' advice and practical guidance from experienced health law attorneys. Get Full Text of the Most Important Health Care Laws!